2010 CHEVY MALIBU LT.......78K MILES.........GAS SAVER 2.4 LITER 4 CYLINDER...........THIS BEAUTY LOOKS SHARP RUNS AND DRIVES PERFECT.......LOADED WITH AUTOMATIC TRANSMISSION , AIR CONDITIONING , AM/FM CD, AUX , BLUETOOTH !!!!!!!! ON STAR, POWER WINDOWS , POWER DOOR LOCKS , POWER MIRRORS , POWER STEERING WITH TILT , CRUISE CONTROL , DRIVER POWER SEAT , DUAL AIR BAGS , PRIVACY GLASS, CHROME WHEELS , 4-WHEEL ABS............!!!!!!!!!!!!!!!! Call Us Now to Schedule a Test Drive (818) 821-3181 OR Come See Us In Person at 5635 Tujunga Ave. North Hollywood CA. 91601...............Vehicle History Available ........ Financing available. BAD CREDIT, NO PROBLEM (on approved down payment). Your JOB is your Credit ...........................WE HAVE MORE LOW MILEAGE AFFORDABLE CARS IN STOCK FOR YOU TO CHOOSE FROM. 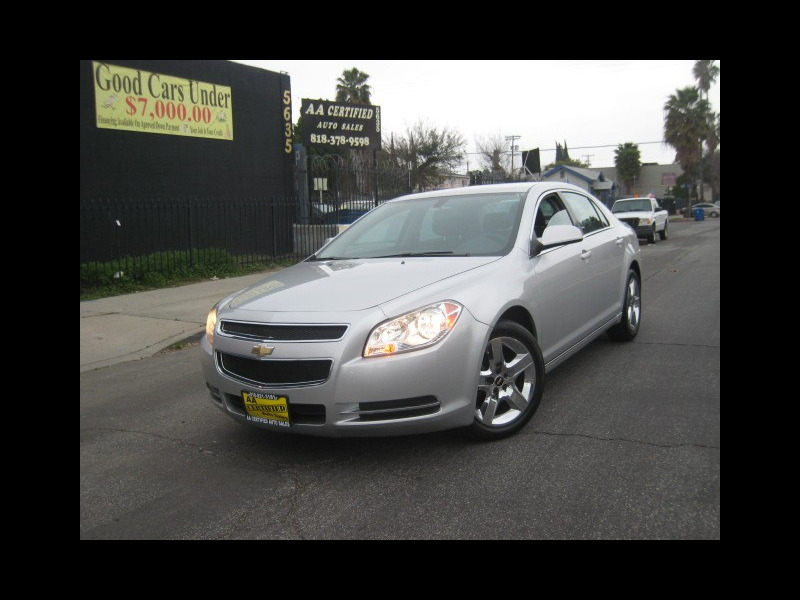 Visit AA Certified Auto Sales online at www.aacertifiedautosales.com to see more pictures and of this vehicle or call us at 818-821-3181 today to schedule your test drive. Purchase of this vehicle comes with peace of mind a 30 Day/1,000 miles limited powertrain warranty, coverage that protects four major mechanical groups, and includes 150-mile towing, flat tire change, battery jump service, emergency fuel delivery service*, and key lockout service** beginning the date you purchase the vehicle. This is a general coverage description, please see warranty contract for complete terms and coverage. Additional warranty is available for purchase.